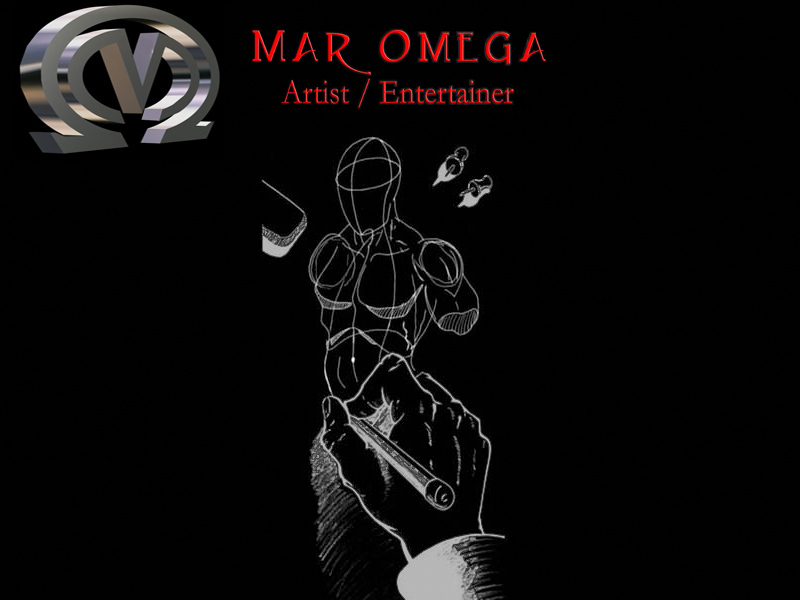 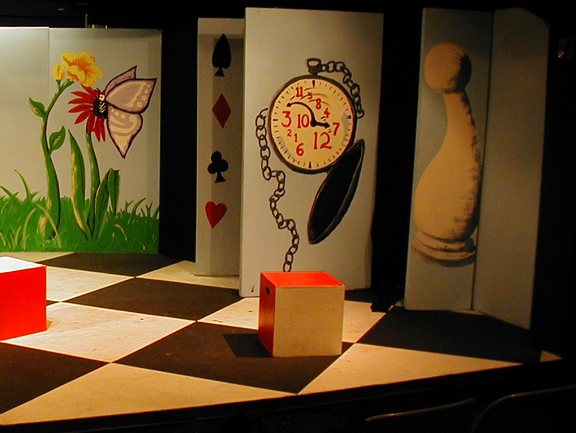 Design, construction, underpainting, floor and backdrop by Mar Omega. 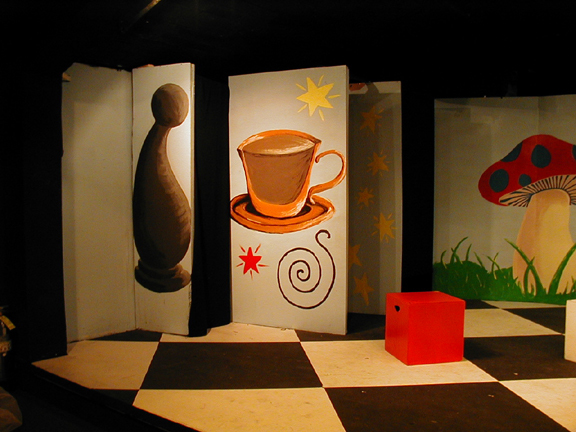 Side pannels and left side of backdrop were painted by Soraina. 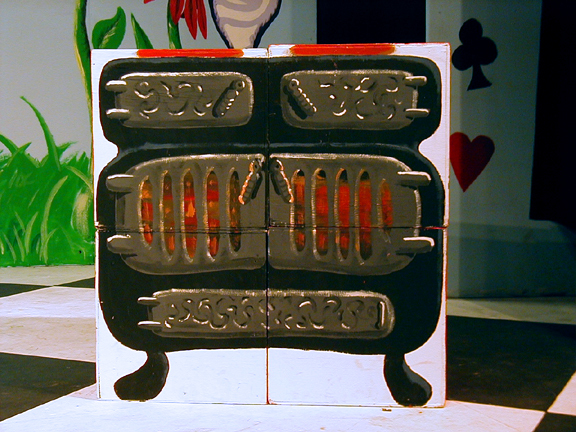 The four cubes were painted on one face so that when stacked, they resemble a stove.